NAVREF encourages every VA-affiliated nonprofit research and education corporation (NPC) to send at least one individual to NAVREF’s Annual Conference. To make this goal more possible, NAVREF offers scholarships to assist member organizations with registration costs for one representative from the NPC to attend the annual conference. To apply, click here. You must download the PDF to complete the form. For 2019, NAVREF will be holding our annual conference at the Hilton Palacio del Rio Hotel, right on the San Antonio Riverwalk. Attendees can reserve their rooms at the group rate of $124 per night. Every room in the hacienda-style hotel has a balcony overlooking the River Walk or the city. The hotel is walking distance from restaurants, bars and shops. Reserve your room today! Although our 2019 conference is still in development, rest assured our program is designed with the NPC in mind, and is offering pragmatic sessions with dynamic speakers. Schedule and Presentations Coming Soon! 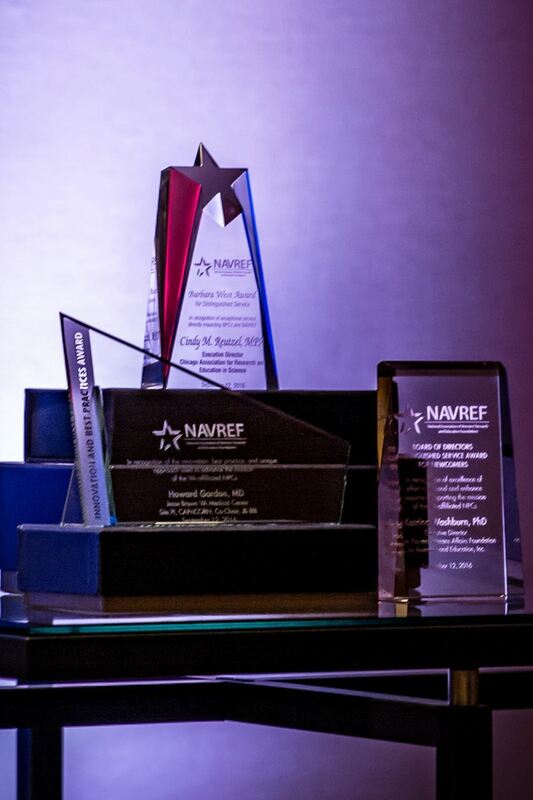 The National Association of Veterans’ Research and Education Foundations (NAVREF) is pleased to continue our “Awards for Distinguished Service & Innovation” for its third year. The awards will recognize professional contributions by individuals to NAVREF, its member nonprofit corporations (NPCs) or affiliated organizations within the fields of VA research and education. *Please download the PDF form to your desktop before completing the form. Information will not save if it is opened in your browser.